RCPW is the online leader for high quality, discount Craftsman mower parts as well as replacement components and pieces for the entire family of outdoor power equipment and tools. You'll always save big when you shop in our online store, and with 1.2 million parts, we know we'll have what you need. We carry a full line of original Craftsman mower parts that will fit your Sears lawn mower, tractor, or riding mower. We are an authorized Craftsman parts dealer in northeast Ohio dedicated to serving customers all over the world so you can be sure you're getting the right item because we have both genuine and aftermarket products available. 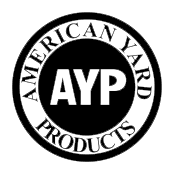 AYP Craftsman is the main manufacturer for Sears© outdoor power equipment and other various brands. Why spend more when you can buy directly from the source? Save considerable cash on your repairs with our replacement Craftsman lawn mower parts, all available at unbeatable wholesale prices. Not sure what you're looking for? Browse all genuine Craftsman parts here. You can also call our expert team directly at 800.937.7279 for assistance and we'll help you find the perfect match for any lawn mower, tractor, power equipment or Craftsman snow blower parts. You can browse by category, enter your part number to search, or look up the Craftsman mower parts you need by model. You can also call our expert team directly at 800.937.7279 for assistance and we'll help you find the perfect match for any equipment in the Craftsman family, with the largest selection of replacement Craftsman lawn mower parts available anywhere.